Positive Expectations- 2015 | How Kaycee got her Flow Back. I didn’t really talk to the fairies all that much last year. I like to usually do a reading at the start of the year, and then another on my birthday. I never got around to them on my birthday. 2014 did hold up to this mantra. I had started a new job after years of working crap ones and I reluctantly left a very toxic relationship that left me feeling lost, shattered and hopeless. I had a lot of mending to do. Rediscovering of myself. I didn’t trust my footing at first…. But… The fairies proclaimed all was safe. I enjoy my job. I got out and met people. I embarked on adventures I never would have had I stayed in that relationship. I focused on what it was I needed and wanted in life. I learned how to find my center again. Each step, though at times they felt alien and completely out of my norm, lead me to a much better place. Emotionally and spiritually. So in retrospect, 2014 totally lived up to its theme. This year I did a whole spread of what the fairies wanted me to know about 2015. I gotta say that I am still digesting all the pieces and really reflecting on the message. There seemed to a lot of blocked areas…. I’m not sure how it all correlates. Truthfully, I have been enjoying taking my time in mediating on the message. But I will get to all that in another post. Originally when I meditated on my theme for this year I felt that I should embark on a path of complete wellness. Physically, mentally, emotionally, spiritually…. The whole she-bang. It seems cliche, but what better time to get in shape…. On all levels? Yet I asked the fairies their thoughts on the theme for 2015, they gave me this. “You have planted the seeds of manifestation with your positive thoughts and emotions. Yet, you may be discouraged occasionally because you are not seeing immediate results. You start to have pessimistic thoughts and wonder whether your faith is unjustified. Hold on to your faith, though! Although your manifestation is taking longer than you had hoped, it is coming to you. 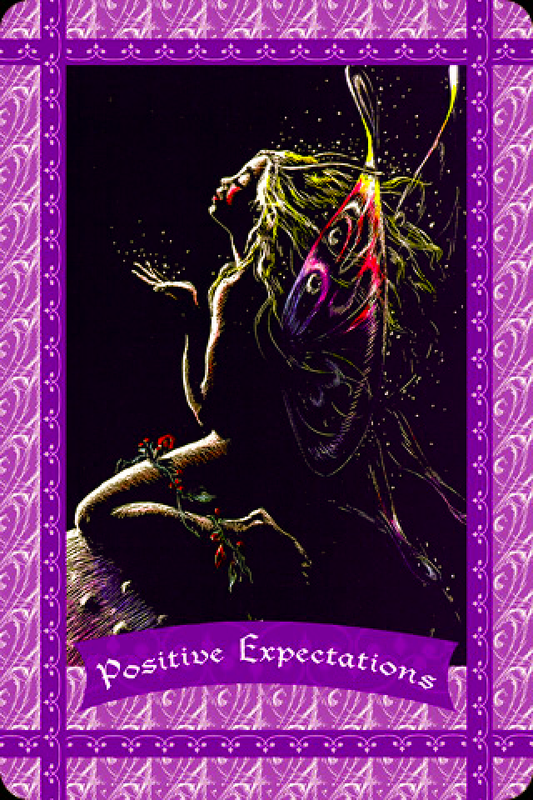 You certainly do not want to cancel or cloud your manifestation with miscreations that come from negative thoughts. At your earliest convenience, go outside in nature – even a backyard or small part will do. Mentally converse with your friends, the fairies. They are absolute experts at manifestation! Tell them about your doubts, fears, and disappointments, as well as your hopes and dreams. Ask the fairies to help you release any negativity you may have, and feel them surround you with healing love and light. 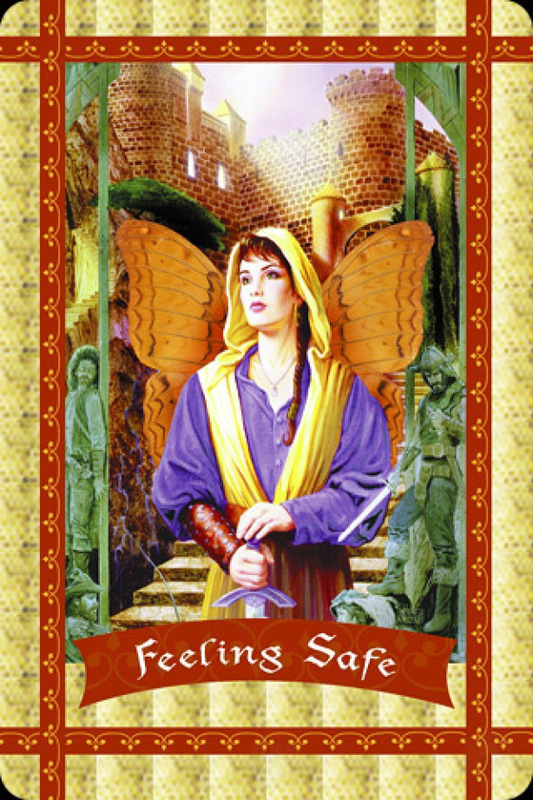 I am safe, confident, and secure. I have some hopes that some big changes will take place this year. I feel like the direction I am facing is a good one. A healthy one. I’m excited and nervous to embark on this next path. I hope that it will go smoothly. I suppose no matter how it ends up, it will go the way it is intended to go. That’s how life goes right? Chin up. Look sharp. No matter what the outcome. It will be where I will need to be. Previous Zen Next Sometimes the Bar Eats You…. So Bite It Back.